Artistic talents and compassion come together beautifully at Lyon Specialty Care in Rock Rapids! 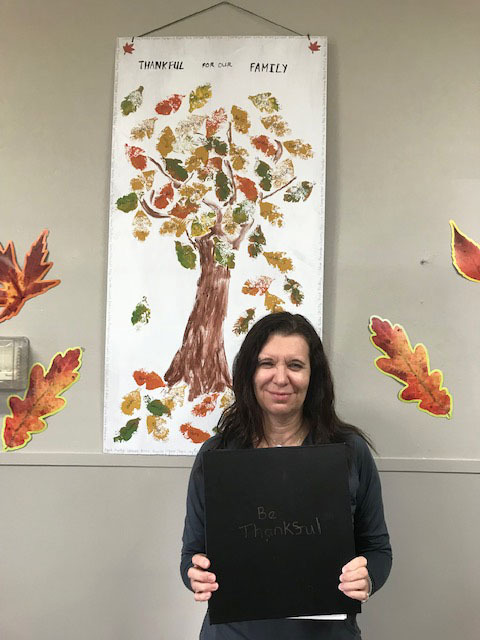 Every fall, LPN Penny Behrens spends time with each resident asking what they are thankful for and creates a board or book with every resident's comment. This year she painted a tree with the leaves representing residents who have lived here this past year. The staff members are represented by the border around the tree. We are so thankful for Penny to take the time to make something very special for our residents and staff to enjoy!